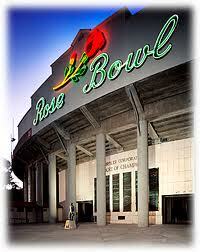 It’s Rose bowl Week At Last! The Oregon Ducks landed in Pasadena yesterday, and the final build up to the Rose bowl has officially begun. It has been 25 days since the Ducks clinched the inaugural Pac-12 Championship, and it is about time for some football! This week, we take a look at the key Wisconsin special teams-specialists, and how they have fared this season. The Badgers boast a steady return man in sophomore WR Jared Abbrederis. He ranks 3rd Nationally with a 16.06 yard average on punt returns with 1 Td, and a solid 24.4 average on kick returns. The sure handed receiver has good speed and moves in the open field, and the Ducks will need a great overall effort to limit his big play capability. One of the perceived weak points of the Wisconsin Special teams is the punt coverage, where nationally only Florida International, Ole Miss, and Fresno State have allowed more than the Badgers average of 15.3 per return. The Badgers have also had their issues in kickoff coverage, and have struggled to protect their kickers this season. Most of the times the Badgers have struggled, it has come at the hands of sound blocking teams with fast and shifty return men. The protection issues have mostly come from quick defenders getting around the outside edge of the blockers. Both of these areas are strengths of the Ducks team, and it should provide for some interesting match ups in this game. I included the Oregon stats in the same categories for comparison.